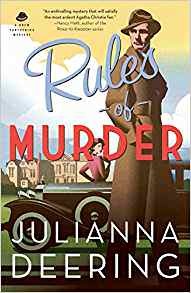 Rules of Murder by Julianna Deering. It’s 1931. Young Drew Fartherington and his friend Nick Dennison arrive at Drew’s home in Fartherington St. John to find his mother and stepfather throwing a house party that’s in full swing. He’s incensed to find his own room occupied, and occupied, no less, by David Lincoln, the man rumored to have had an affair with his mother. The only bright spot is the arrival of his stepfather’s American niece, Madeline Parker, whom Drew finds himself immediately drawn to. Before the weekend is out, David Lincoln is found murdered in the greenhouse, and Drew’s mother has apparently committed suicide. But something seems wrong about both deaths, and Drew begins his own investigation, with the help of Nick and Madeline. A very easy read. I enjoyed this book. There was a good mystery to the murder(s) and along the way good introductions to the characters and their development. I would read another with the same characters. Moriarty: The Journey by Annelie Wendeberg. Below is a review posted on Amazon and I liked it so much I thought I'd use it so you get a total look at this Trilogy. I enjoyed this very much. Easy reading and yet intriguing. A bit of Sherlock with a very interesting Anna Kronberg. 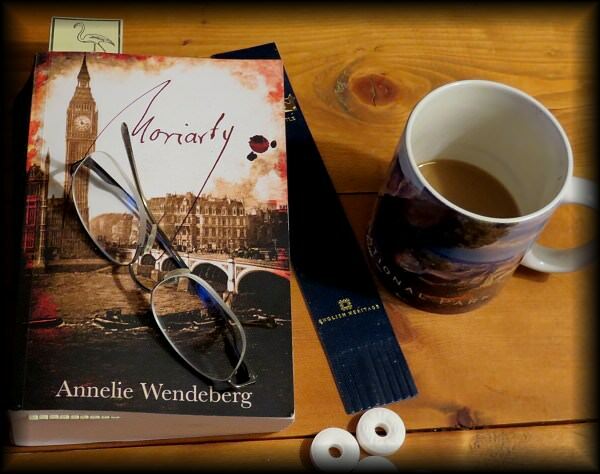 Annalie Wendeberg has created just such an intriguing character in her Sherlockian series, the Anna Kronberg thrillers. Anna Kronberg has taken on the disguise of a man in order to attend medical school, complete her training, and practice medicine. She remains undiscovered until she is called to perform an examination on the corpse of a cholera victim. Her secret is quickly discarded by the detective evaluating the case, the great Sherlock Holmes. So begins Wendeberg’s continuing series about Dr. Kronberg, as she helps Holmes unravel the mystery of the cholera patient and a threat of biological warfare, becomes a prisoner of Holmes’ archenemy Moriarity, and has to flee for her life from Moriarity’s murderous henchmen. Kronberg is a wonderful character, prickly, independent, analytical, intelligent, and often unreasonable, but grounded in altruism and a deep love for her father, who always encouraged her and never constrained her ambitions. Holmes is presented as a brilliant but flawed individual, damaged by the psychological torments of his childhood, and with a mildly autistic inability to respond with appropriate human reactions to emotional situations. Much like the Mary Russell books by Laurie King, the Kronberg stories show Holmes drawing emotionally closer to his distaff companion. The male masquerade aspect of the stories is handled deftly, with a great deal of insight into what care someone like Anna must take in maintaining the illusion of masculinity, and the stresses it induces. It would best serve the reader to begin with the first book in the series, as this third volume stands alone only with some difficulty. Eluding Scotland Yard and Sherlock Holmes, Anna Kronberg leads aninconspicuous life far from London. Until the day she wakes up to a gun pressed against her temple. With her father held hostage and no help insight, Anna finds only one way out - to take her captor for a dance along the razor's edge while delving into Britain's tentative beginnings of espionage and systematic biological warfare. Anna gets abducted by the one and on Moriarty. What happens during her abduction is a bit surprising. Having read "reviews" on Amazon that said it wasn't enjoyable, I disagreed. I had no problem with how the story was panning out. It is not a typical Sherlock story, and Sherlock is not the main character. However, her writing leads to easy reading and I wondered enough what was going to happen to read it quickly. Today I will begin book 3 and hope it all comes to a grand conclusion!